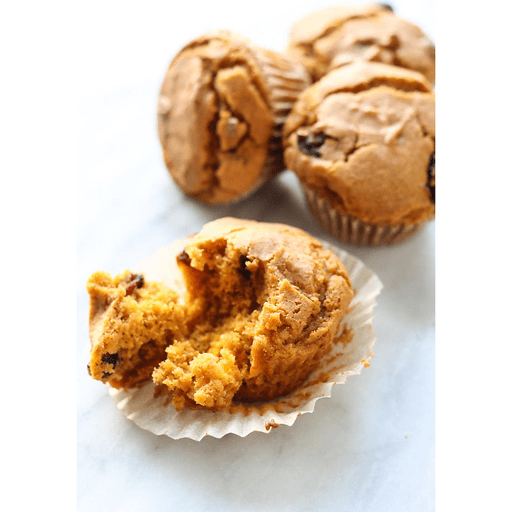 Perfect for a holiday brunch or an on-the-go, autumn-inspired breakfast, these Pumpkin Cranberry Muffins are a great way to make use of fall flavors as the temperatures start to drop. 1. Preheat oven to 375°F. Line muffin tin with muffin cup liners. 1. Measure flour, baking soda, ginger, baking powder, cinnamon, salt and cloves into a medium mixing bowl. Stir well with a whisk. 1. Add sugar, pumpkin, buttermilk, brown sugar, canola oil and egg to a large mixing bowl. Mix with an electric mixer at medium speed until well blended, about 3 minutes. 1. Slowly add flour mixture to sugar mixture, mixing at low speed just until combined. Fold cranberries into mixture. 1. Spoon batter into lined muffin cups, distributing evenly. Bake for 25 minutes or until muffin tops spring back when lightly touched. Remove muffins immediately from pan and place on wire rack to cool slightly before enjoying. For dairy free or vegan: Combine ½ Tbsp. lemon juice or apple cider vinegar in ½ cup measuring cup. Fill remainder with favorite dairy free milk alternative. Let sit for 10 minutes. Use as a substitute for buttermilk in this recipe. For gluten free: Use gluten free 1:1 all purpose flour in place of whole wheat pastry flour. Calories 170, Total Fat 3g (Saturated 0g, Trans 0g), Cholesterol 15mg, Sodium 200mg, Total Carbohydrate 36g (Dietary Fiber 3g, Sugars 22g), Protein 3g, Vitamin A 50%, Vitamin C 0%, Calcium 4%, Iron 6% *Nutritional values are an approximation. Actual nutritional values may vary due to preparation techniques, variations related to suppliers, regional and seasonal differences, or rounding.